The rise in number data breach incidents and the continuous threat they pose to companies is causing a rather promising growth in the cybersecurity space. On September 7th of 2017 Equifax, a major credit monitoring company in the United States declared that hackers had stolen the personal details of over 143 million US citizens. The severe nature of the data breach was defined not by the number of people affected but the sensitivity of the information at stake, which included names and social security numbers. That being said, as far as cyber-attacks go, Equifax was not the only nor the largest to have occurred in the recent past. In 2017 alone, the number of global cyber-attack incidents recorded stood at well over 24,000. Cyber-attacks have transformed from mere acts of theft to more organized hacks of significantly greater magnitude targeted at sensitive enterprise data. In the wake of data breaches of such scale, cybersecurity is becoming an integral part of organizational practices in order to protect confidential data. In a report released by Netscribes, the cybersecurity market is expected to exhibit a commendable growth at 12% CAGR. At the current projected rate, the market is anticipated to be worth USD 125 million by 2025. The report further states that, despite a worldwide demand for cybersecurity products and services, the Asia Pacific region is expected to experience the highest demand for the review period 2017-2022. The growing cybersecurity market means that there will be certain trends that will drive the immediate future of the sector. Among trends such as value chain analysis, third-party risk program, and container adoption, there is one that has garnered a major global interest: GDPR. The European Union’s General Data Protection Regulation (GDPR) is set to come into effect in May 2018. In its essence, the new set of regulations set forth by GDPR allows EU citizens to have better control over the data they are sharing. Unlike previous regulations, the jurisdictional extent of GDPR is not limited to the EU borders. Any company that accumulates or manages data of EU citizens will have to be in compliance with the standards. Enterprises continue to be at a receiving end of various cyber threats such as the Wannacry ransomware attack that targeted a security flaw on Windows operating systems. The extent of the attack was spread across enterprises from approximately 100 countries. The impressive numbers that the market shows potential for are bound to have certain implication on enterprises. Most importantly, the rate and extent of growth of the cybersecurity market mean that enterprises will have to consider making substantial changes to their existing cybersecurity protocols. The BYOD (bring your own device) culture is one such aspect that is triggering the need for advanced cybersecurity systems. Another interesting trend in the cybersecurity domain that is going to play a role in enterprise applications is that of security automation and orchestration. IT security solutions spend a considerable amount of time and resources on containing cyber-threats, which leads to greater costs. 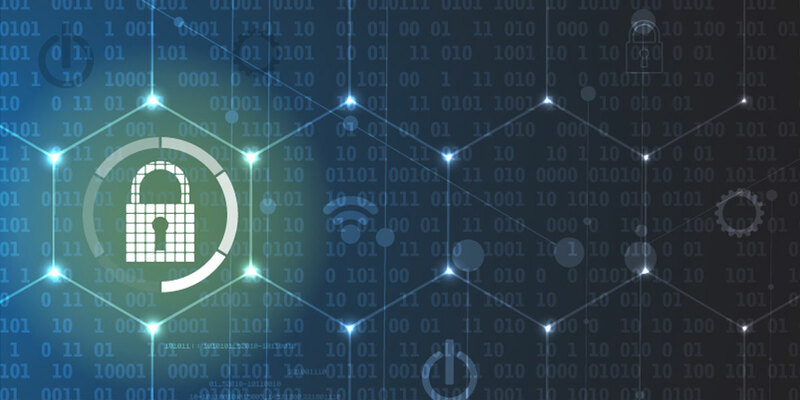 Through security automation and orchestration, enterprises will not only have the tools required to eliminate manual security operations but also integrate those tools to have more streamlined processes. The growth in the magnitude and sophistication of cyber-attacks is causing various companies to take primary actions to protect sensitive personal and business information. The growth of the cybersecurity market and incorporation of the associated technologies into all major sectors is, therefore, no longer a question of why but when. Netscribes gives you complete visibility into focus markets to help you make profitable business decisions. For customized research and analysis on the cybersecurity industry, drop us a line at [email protected].